To correct posture, there are two different posture rehab devices you can use. Ideally after reading this article you will understand the ins and outs of both. When and why do we use a Posture Correction Device? The core purpose of a Posture Correction Device is to improve your posture and reduce tension in your upper body (neck, jaw, shoulders and low back). Your Posture Correction Device is designed for use on a floor or very firm flat surface for the best flow on and aftereffect. The length of your spine lies on top of the device and all that is required from you is to lie on it! Using one of these for 15 minutes at least once every day can help you passively change your posture for the better! You literally don’t have to do a thing, activating muscles or actively stretching isn’t required. Just breathe and let gravity do the work. As we all know movement benefits the body and stillness benefits the mind, and as a time saver, why not include some simple mindfulness techniques while you are on the Postur Correction Device? Plug into your favourite mindfulness app (i.e. Stop, Breathe & Think or Headspace) or simply focus on your inner body and practice conscious breathing either in silence or to music. For every 2-3cm your head slips forward, the load on your neck and shoulder muscles doubles. This is precisely why good posture is essential for great health! When and why do we use a foam roller? Using a foam roller is a way to self- massage and release muscle tightness. 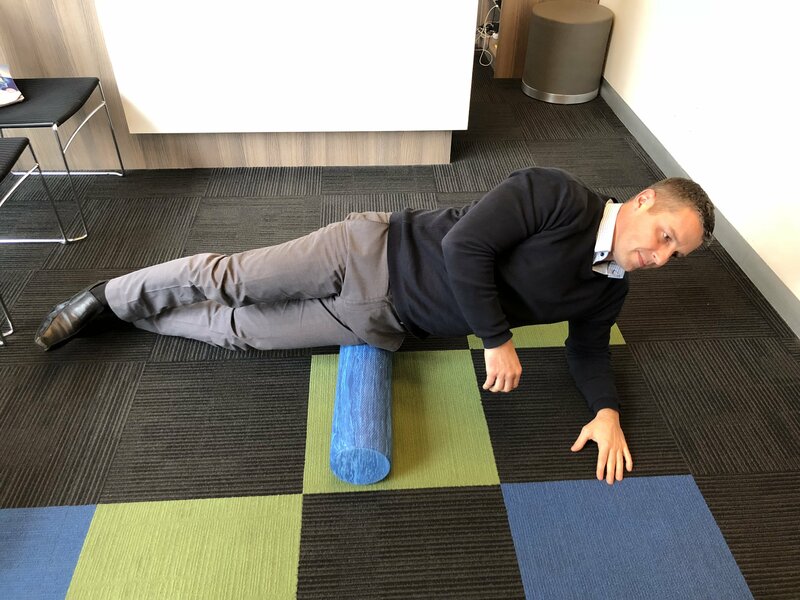 “Foam rolling,” has evolved from a once cryptic technique used only by professional athletes and therapists, to an everyday practice for people at all levels of fitness. By applying pressure to specific points on your body, you are able to aid in the recovery of muscles and assist in returning them to optimal function. Optimal function means your muscles are elastic, healthy, and ready to perform at a moment’s notice. When you are experiencing the delicious DOMS (delayed onset muscle soreness), you can use a foam roller as a way to speed up the recovery process. Regular use of a Posture Correction Device helps open up the chest area, reduce wind-up in the upper chest/back area, and align the head into a neutral position, thereby assisting with a healthier nerve system and spine. 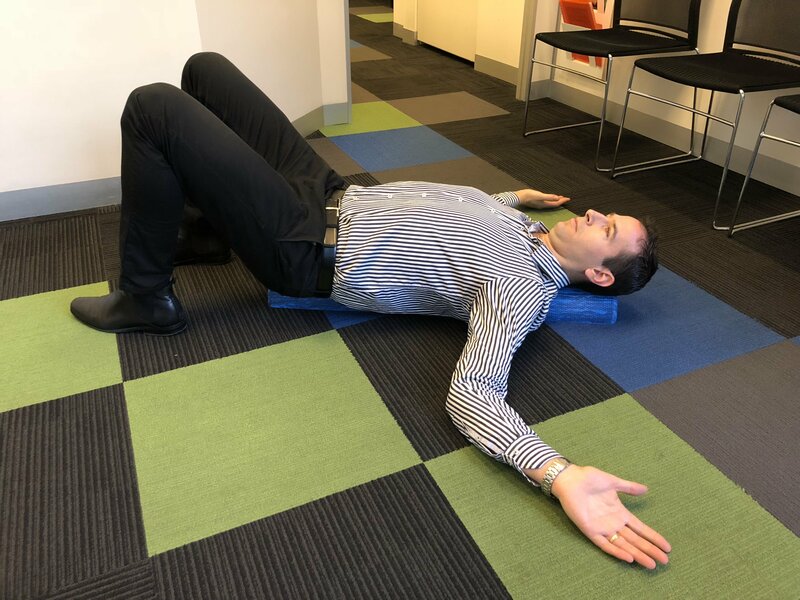 Using a foam roller helps reduce daily related and exercise related stress on the body, which in turn (as everything is connected to the spine), assists with a healthier nerve system and spinal column. However, it is essential that you ask your Chiropractor how to best use these devices for your unique body. These devices retail in our office for $45.50 & $52.00 depending on size. Call us now on (03) 9696 8822 or request a call back via the enquiry form below. VIP tips, videos, resources helping you stay awesome.